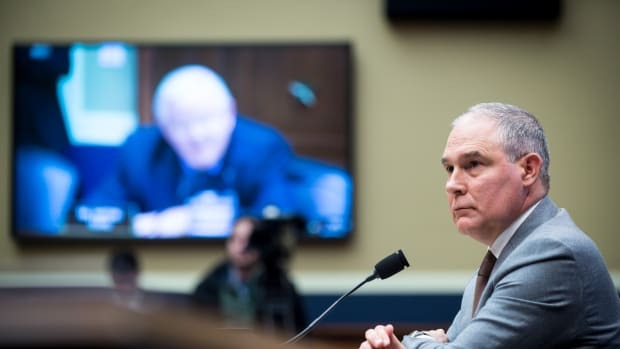 Democratic members of the House Science Committee are calling for Scott Pruitt, head of the Environmental Protection Agency, to testify on how his agency uses taxpayer money and his seeming favoritism to industry over science. "His leadership of EPA in eight short months has already resulted in policies that favor the very industries he is supposed to regulate, potentially resulting in harm to Americans&apos; public health and safety," the committee&apos;s 16 Democratic members wrote in a letter yesterday to their chairman, Representative Lamar Smith (R-Texas). Smith has spoken frequently about his skepticism that climate change is occurring and driven by human activity, and held hearings last year that questioned the validity of climate science. He is retiring from Congress this year. Congressional Democrats have voiced their displeasure with the EPA with a flurry of letters recently. Also yesterday, 62 House members—including one Republican, Brian Fitzpatrick (Pennsylvania)—signed a letter protesting Pruitt&apos;s revision to the rules stating who may serve as a scientific advisor to the EPA. The changes are ostensibly meant to reduce conflicts of interest, but opponents argue they make it more difficult for many university researchers to serve, in the process shutting out top talent. Since the rule change, the EPA has appointed dozens of new science advisers, including climate change skeptics and a University of California–Irvine scientist who has said that modern air is "too clean for modern health." Last week, four Democratic members of the House Committee on Energy and Commerce wrote a letter to Pruitt asking for documents related to the EPA&apos;s implementation of the Toxic Substances Control Act, a law that calls on the agency to regulate certain chemicals. 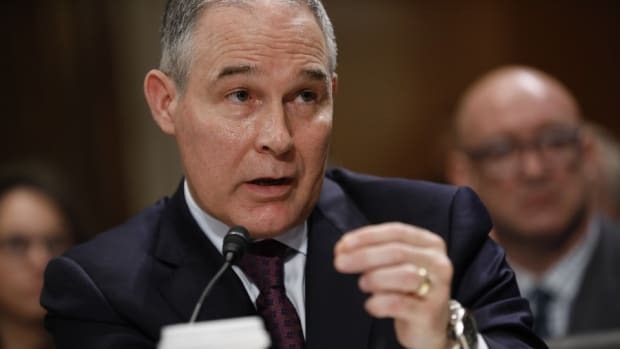 Chemical regulation has loosened significantly since certain Trump administration appointees took office in the EPA, more closely following the industry&apos;s desires, as the New York Times reported in October. 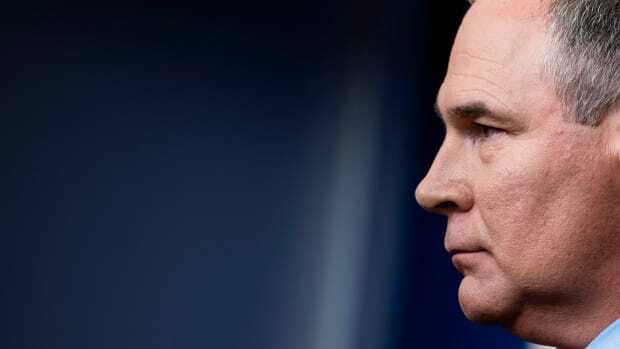 If the science committee&apos;s letter to Smith was polite ("We respectfully request that you invite EPA Administrator Pruitt to testify before the Science Committee as soon as possible"), the energy and commerce committee&apos;s letter showed a bit more pique, charging that Pruitt is running an "assault on science" and "neglected [his] duties." Noting that the committee had originally asked for documents four months ago, the energy and commerce members wrote: "Although you never supplied those documents, they have now been printed in the New York Times." Half the senators lobbed the EPA chief softball questions; the other half blasted his attempts at deregulation. 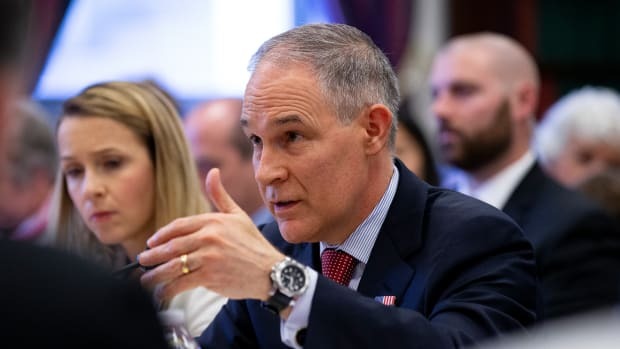 Scott Pruitt's proposed policy to require that data and methods behind scientific studies be made publicly available has left Democrats in Congress rankled. Given their narrow majority, Senate Republicans prefer to let Andrew Wheeler continue as acting administrator rather than squeeze in another confirmation fight before the November mid-terms. A brief rundown of the scandals that dogged the EPA administrator in the months leading up to his resignation. 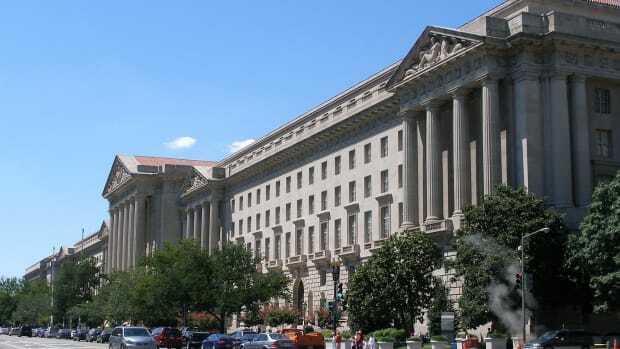 Based on interviews with 47 current and former EPA employees, a new report paints a picture of a deeply divided and stymied agency.